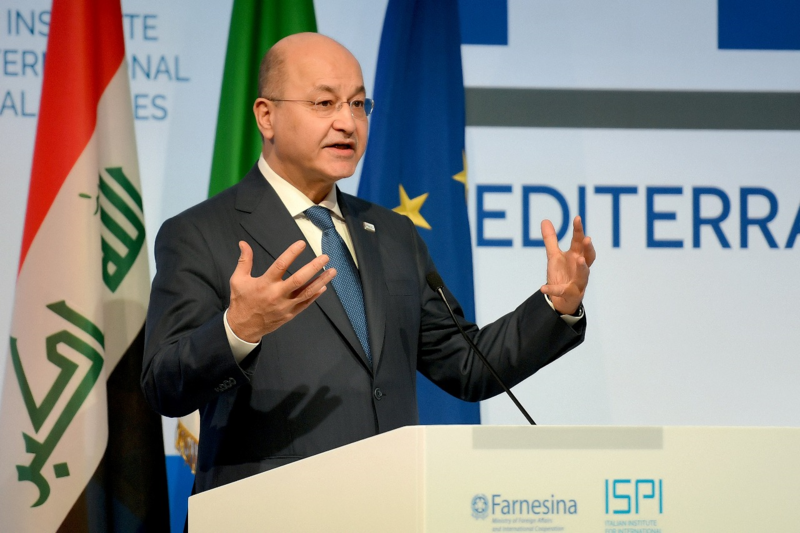 President Barham Salih emphasized the need for concerted regional and international efforts to combat the hotspots of terrorism and the incubators of extremism that spread in several countries. His Excellency received Ms. Florence Parly, the French Minister of the Armed Forces and her accompanying delegation, at the Presidential Office in Baghdad, Friday, February 8, 2019. During the meeting, the President added that Iraq wants to establish advanced and widen its relations with France in many fields because of the conviction that the two countries could play an important and influential role on many of regional and international issues. 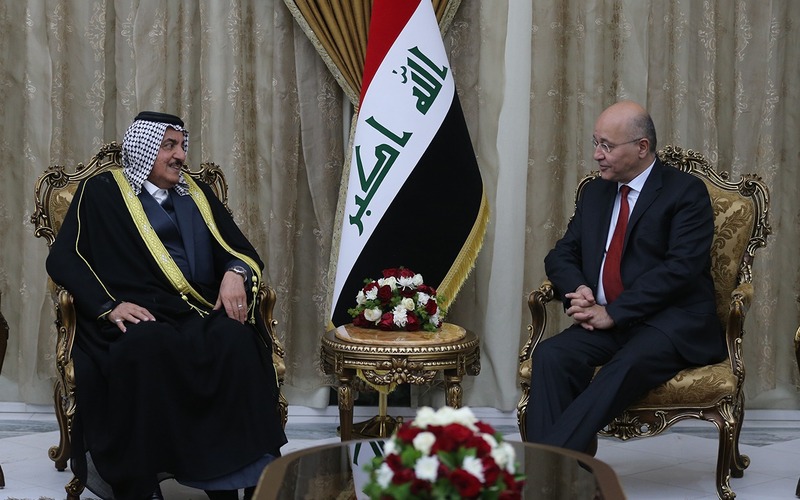 President Salih indicated that expanding the prospects of joint cooperation with EU countries is a priority since Iraq is an important hub that connects several countries with Europe. His Excellency also valued France's vital role within the international coalition against terrorism and its support for Iraq in defeating ISIS. 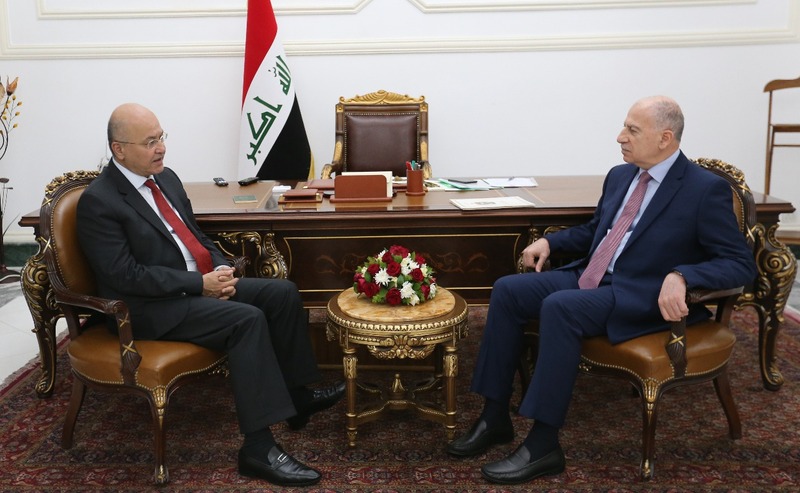 President Barham Salih stressed on the importance of France’s contribution to strengthening Iraqi military capabilities at the level of armament or training. For her part, the French Minister of the Armed Forces reiterated her country's support for the stability of Iraq and for the fulfillment of its aspirations for security, welfare and prosperity. Ms. Parly Expressed France’s readiness to provide support for the Iraqi security forces in training and equipment. The meeting also touched on the latest developments in the regional and international arenas.